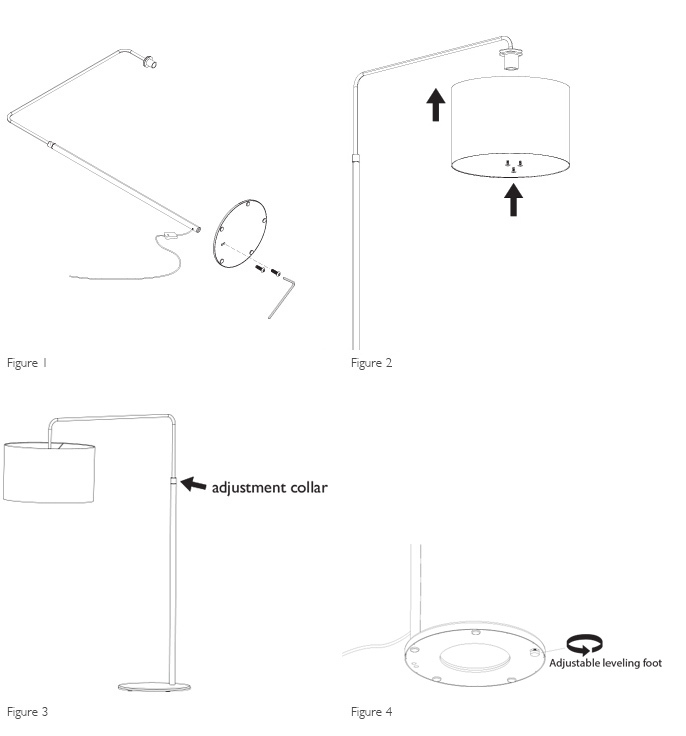 Stand the lamp upright before sliding the inner ring of the lamp shade up over the lamp socket. 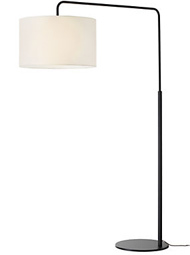 Then use the shade assembly screws to fasten the lamp shade in place. (Figure 2) Position the shade seam in your desired location before fully tightening the screws. Note: Shade assembly screws may come pre-attached to metal ring around the bulb socket. Remove prior to positioning shade.